If I try hard to ignore my injuries and get on with my life, will I get less money that someone who dwells on their pain? What if I’ve worked really hard to get back to my activities, even though I still have pain? This week, British Columbia’s Supreme Court weighed in on the case of a grandmother who developed chronic pain syndrome after a 2012 collision (Beaton v Perkes 2016 BCSC 2276). Justice Voith noted the plaintiff was “completely straightforward” and the medical experts were more or less unanimous as the injuries suffered by the plaintiff and her prognosis for the future. Accordingly, the overall issue wasn’t whether or not the plaintiff had been injured, but how much her injuries had impacted on her life. 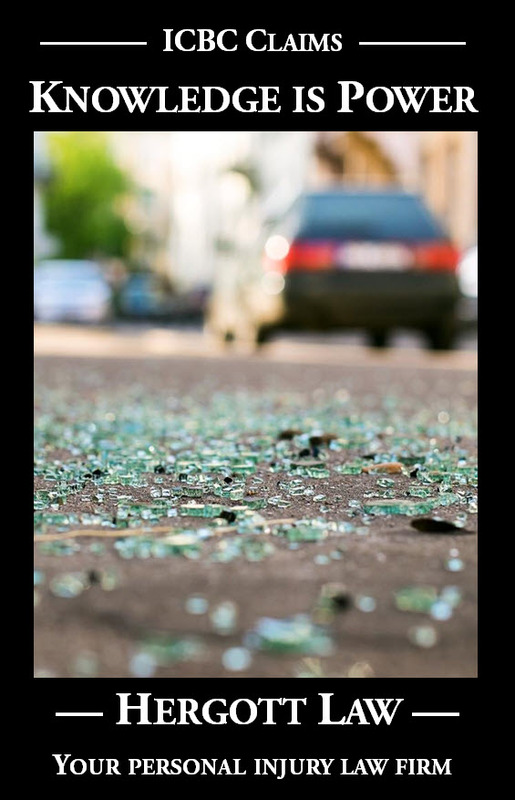 From the outside, it appeared that the crash hadn’t changed much for the woman in the long run – was she a determined woman who had persisted in her lifestyle despite pain, or was she simply just not that affected by her crash injuries? Her medication intake had gone up by 12 times following the collision – her long established pattern of a single daily painkiller tablet was replaced by more doses of stronger pills. Her work pattern had changed – from full time to 32 hours / week. The work she was doing was lighter duty than her pre-crash work. She struggled to get through her work days, particularly the last day of the week. This struggle was apparent to collateral witnesses. She continued to do her household tasks and gardening, but did so more slowly and took more breaks. She changed how she did her recreational activities, including sitting on a different chair when she watched television with her spouse because she could not get off the couch unassisted. Importantly for present purposes, Justice Kirkpatrick stated that stoicism should not penalize a plaintiff. To be sure, stoicism is a factor that must be considered, but in a manner of speaking, it is not a stand-alone factor; instead, it is a companion to the others. Courts must rely on evidence to establish the kind and degree of a plaintiff’s physical pain and emotional suffering, but in some cases that evidence may be tempered by the plaintiff’s stoicism. And it would be unjust if the plaintiff were penalized for strength of character. The relevance of stoicism, as a consideration when assessing the quantum of a non-pecuniary award, is now well settled. The jurisprudence reveals a number of hallmarks of stoicism: a propensity to preserve or to maintain a similar lifestyle despite pain or suffering; see Cabral v. Brice, 2010 BCSC 197 at para. 66; and Bove v. Wilson, 2016 BCSC 1620 at para. 45; a reticence to complain; see Courtney v. Hutchinson, 2012 BCSC 188 at para. 44; a resilience when encountering difficult circumstances; see Bunnah (Litigation guardian of) v. Bunnah, 2016 BCSC 264 at para. 19. Various aspects of the foregoing legal framework are directly relevant. Ms. Beaton is unusually determined and stoic. Mr. Shaw said that she was “as tough as they come”. Ms. Grant said several times that her mother was “very strong”. Ms. Nendez described her as a “very good employee” and as a “perfectionist”. Ms. Beaton, who should start work at 4:00 a.m., continues to come in to work one to two hours early to organize things to make sure she can do her work properly. She said, and others said, that she loves her work. I have described and developed the impact of the Accident, physically and mentally, on Ms. Beaton. She lives with chronic pain and depression. The pleasure she gets from her work, her activities and her home, her social interactions — the things that matter most to her — are all diminished. There is no reasonable prospect that any of this will improve. Dr. Grover considered that with the passage of time she is likely to have increased pain. Dr. Loewen considered that she may be more susceptible to injuries, with lower amounts of trauma, in the future. Counsel for the plaintiff relied on a series of authorities where awards for non-pecuniary loss ranged from $100,000 to $140,000. He argued that an award of $120,000 would, in all the circumstances, be appropriate. The defendants relied on a series of authorities that supported an award for non-pecuniary loss of approximately $60,000 to $70,000. I have explained the central thesis that the defendants advance in support of a lower award and why I do not consider that that thesis is supported by the evidence before me. I further consider that the legal authorities provided to me by the plaintiff more closely align with Ms. Beaton’s circumstances and with the legal principles that I have developed. In particular, I have been guided by each of Caroll v. Hunter, 2014 BCSC 2193; Biefeld v. Neetz, 2016 BCSC 689; and Bellaisac v. Mara, 2015 BCSC 1247.